Before signing on the dotted line to purchase a retirement home baby boomers should consider the benefits of renting, especially in a down economy. For some seniors buying a retirement home may not be a good fit despite all the pundits that decree buying is the only way to go. So if you are considering buying or renting read on to discover why renting may be your best option. Before signing on the dotted line to purchase a retirement home baby boomers should consider the benefits of renting, especially in a down economy. For some seniors buying a retirement home may not be a good fit despite all the pundits that decree buying is the only way to go. So if you are considering buying or renting read on to discover why renting a retirement home may be your best option. What caused the housing market to crash in the first place were predatory lenders giving money to people who could not afford to pay their monthly mortgages. If you cannot afford to buy a home the fact of the matter is you should consider moving into one of the many 55+ rental apartments that are available. If you are one of the seniors living on a fixed income it would behoove you to live below your means. Using too much of your income to go towards a house payment is a dangerous financial practice that will set you up for financial disaster. Many seniors want to explore different areas of the country to see where they want to spend their retirement. 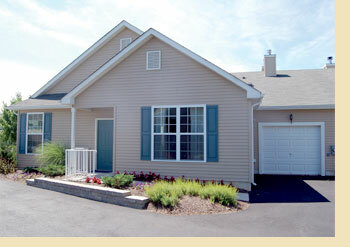 There are several 55+ houses for rent in all areas of the country that seniors can live in temporarily. The economy is in a shaky state so buying may put you at risk. Buying homes in a down economy may be good for young investors but not for seniors. Seniors should be looking for financial stability and ways to minimize risk. When you rent you put yourself in a much safer financial position thereby shielding yourself from potential risks associated with buying in an uncertain housing market. Some states have astronomical property tax rates that add hundreds to your monthly mortgage payment. When you rent you do not have to pay property tax and can use that money towards other expenses or savings. Many 55+ rental apartments and homes in 55 communities offer great amenities such as yard and home maintenance, organized social programs, clubhouse, transportation, pool, fitness center, and even on site medical care. If you purchase a home these amenities are typically not available leaving you to your own devices to meet those needs. Owning a home is a huge responsibility. You have to do yard work and take care of any home repairs or hire someone to do it for you. Renting a retirement home alleviates most of this responsibility leaving you with more time to enjoy your golden years rather than fretting about home maintenance. Research shows that seniors who are actively involved in social programs and have relationship with their peers are happier and healthier. Renting a retirement home in a community gives you instant access to people the same age who have the same interests. If you are considering purchasing or renting we hope you look at the pros and cons of each and do a thorough analysis to figure out what is right for you. If you need expert help see a financial adviser who has experience in helping seniors and baby boomers.